Posted on July 5, 2018 by Fay Curtis. 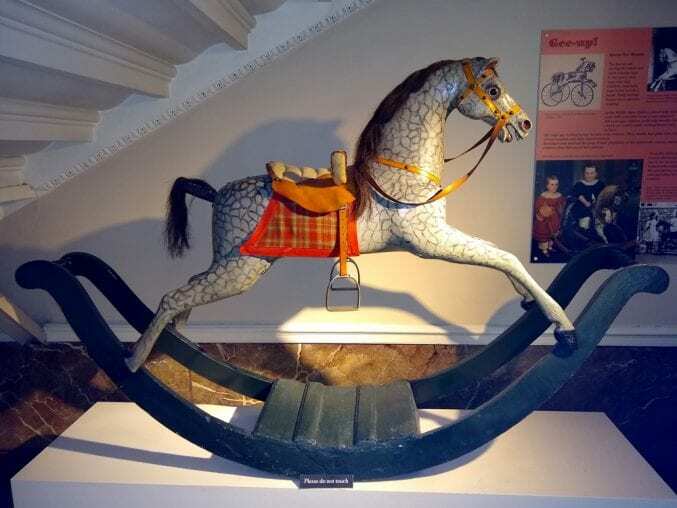 There’s a real range of objects on display at Blaise Museum – including toys, dolls houses, paintings, kitchenware, and costume. 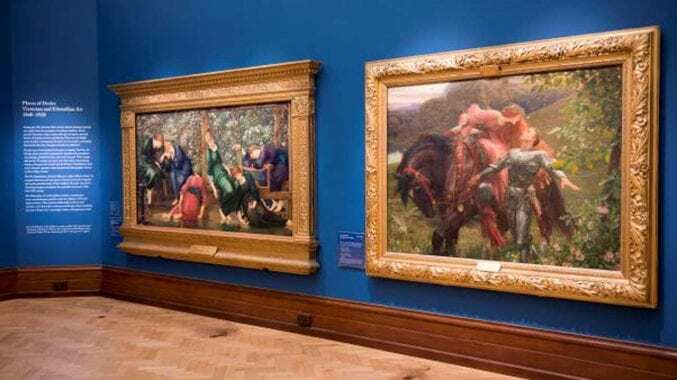 Museum staff share some of their favourites. The museum’s mascot dates from around 1880. Looking better following a recent restoration, the horse sits majestically, as though waiting for a young girl or boy to put a foot in the stirrups and set off on a new adventure. We had a rocking horse when we were young, but this horse is much more life-like, with its mane and tail of real hair. Our frog mug’s on display on the first floor at Blaise. It would be really easy to miss because the frog’s hidden inside. 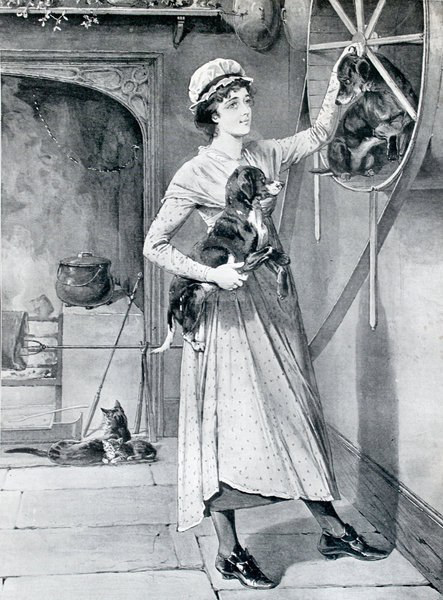 The mugs were used as a practical joke in pubs from about 1775 to 1900. Unsuspecting drinkers were surprised by the frog, much to the delight of fellow drinkers. 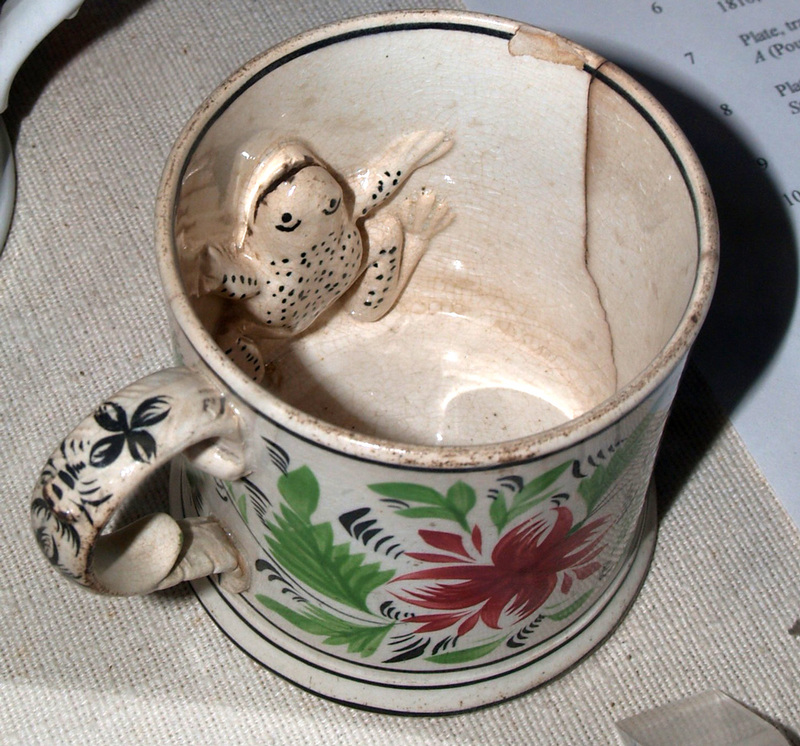 The mugs are also known as ague mugs because it was believed that ague (a fever) was cured by sudden shocks such as frog mugs. I’d love it if they started to be used as tricks again! I like the wringer because it reminds me of my childhood days with my Grandma. We had one in the garden. Before I started working at Blaise I’d never come across a dog wheel, not knowingly anyhow. The wheel is a wooden wheel which would be fixed above or close to an open range. A spit dog, specifically bred for the job and now extinct, would be placed in the wheel and then run in it, a lot like a hamster wheel. The wheel was attached via leather belts or a chain to a spit so as the dog walked the wheel would turn the spit and cook the meat evenly. In some cases to make the dog move faster hot coals would be placed near its feet. I find this item fascinating because although it seems cruel in today’s day and age we are constantly looking for more renewable energy sources, yet back then they had already begun to find some, not for the same reason as our own but for progress in cooking and it was quite an innovation. 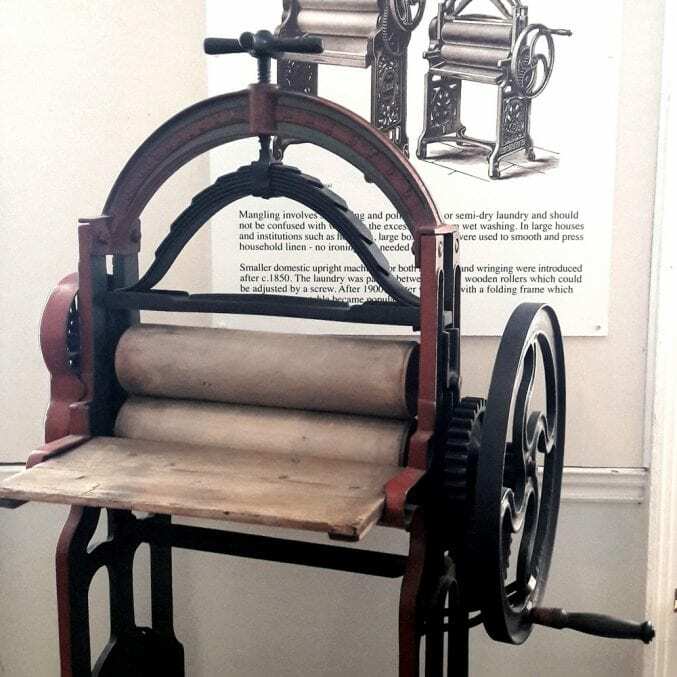 From this my interest was sparked and since then I have visited Carisbrooke Castle on the Isle of Wight where they still have a working donkey wheel and I’ve even come across a rat wheel connected to a small dynamo. 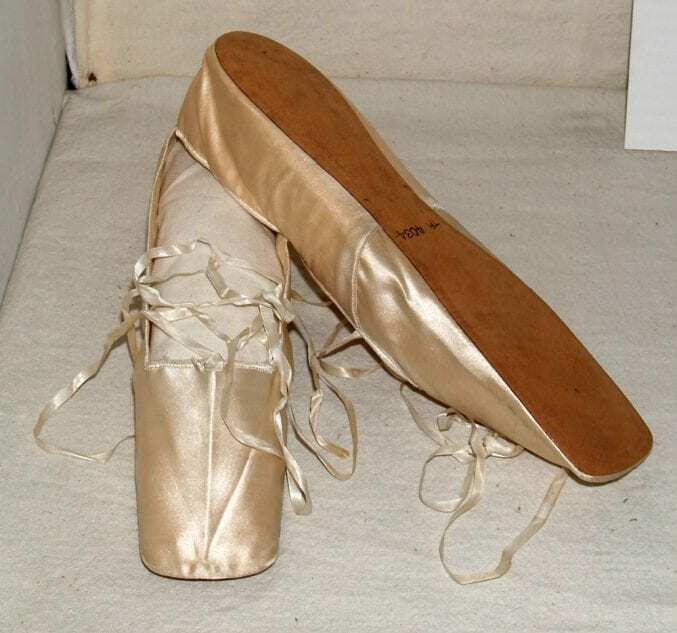 One of my favourite items in the museum is the pair of women’s evening shoes from the 1830s. Made from ivory satin, these shoes have a base of hard wood that provide little support for the wearer’s foot. At first glance, the shoes look better suited for a ballerina doll with their tie-up laces and fair colour. However, despite their beauty, they would be incredibly uncomfortable to wear. These narrow shoes would barely measure much wider than a few inches! I find it both interesting and amusing that, for the wealthy, lounging ladies of the 1830s, glamour was valued immensely higher than practicality. Blaise Museum is open Thursday – Sunday between April and December, plus Tuesdays and Wednesdays during Bristol school holidays. Find out opening times, see what’s on and discover what’s here.